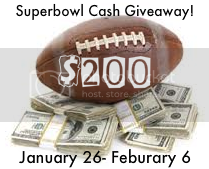 Anytime between now and Superbowl start time (6:00 PM EST) on Feb. 6th, you may enter to win $200 CASH (paid via Paypal) using the form below. You MUST have or create a Facebook account and paypal account to enter this contest. 1) "Like" Facebook fan pages from the list below. Go to the links of the participating Facebook fan pages and "Like" ALL or however many you choose of the pages participating. Then return to this page and select the appropriate box corresponding to the Facebook fan page name in the form below and submit the form by clicking "submit". Repeat this process for each Facebook fan page you "like" or were already a fan of prior to this giveaway. Please note that you will need to copy each blogs text separately, as the blog address changes with each blog. After updating the status, fill out the form below for each Facebook update. For example, if you "liked" a fan page AND updated it's status you will need to fill out the form below twice and submit it twice. Click only one blog per entry submission. 3) And to continue to earn more entries, comment on this blog post and other participating giveaway blog posts, then submit the form. Click on "comments" below and then leave a comment answering the following question. How do you plan to spend the $200? Navigate to other blogs for this entry as well via their Facebook page. 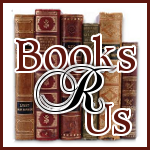 All blogs should have their blog link under the profile picture on their Facebook page. After commenting, submit the below form for each blog you comment on! I hope that you can take your time browsing through Facebook fan pages and enter up to 45 times in total. Email addresses will only be used to notify the winner. They will all be discarded after the winner has been verified. Please remember to fill out this form for every entry option completed. Each Facebook "Like", Facebook comment and blog post comment are SEPARATE entries and require you to submit the form again for each blog. The winner will be randomly drawn during the first half of the Superbowl via random.org. The winner will be notified by email by the start of the second half and will have 48 hours to respond and claim their prize. Remember, you MUST have a Paypal account and Facebook account to enter this giveaway! I would spend it on books! I would pay bills if I won. Thanks so much! I would use the money towards a special day out with my kids and husband, its been way too long, and I would love to just have a day to spend with them outside of the house! Thanks for the opportunity! I would use the money to buy food...its always about the food in this house...and its not cheap either...thank you for the opportunity~!! I'd use it to buy stuff for my daughter or for a family trip. If I won the $200, I'd use it for my son's birthday present on Feb. 15. I plan to pay bills. I would use the $200 to pay on some bills. We've been in desperate need of a new vacuum cleaner so it would come in handy!! I would spend it on our paying down debt plan. I'd use it for a new laptop. I would put it towards our [8 year old black lab] Summer’s vet bills. Just found out she has thyroid problems and will have to take medicine daily, for the rest of her life. She also has growths and skin problems as well as other health problems, so every bit helps & $200 would certainly be a big help! My son is in college and could really use a bike to get around. Winning this money would be perfect because it means I could buy one for him. Thanks for the opportunity! I would use the money to have a super bowl party - we are in Steeler Country after all! Maybe a Nook color – it looks so neat! I would use it to get some workout equipment, or maybe put it towards a treadmill! I’d use this pay for my sister’s medical bills. Thanks! I would use it for either rent or textbooks. I would give it to my hubby for Valentines Day! I would take it on my Girl's Trip in March! I would use for our first family vacation to Disney World with our four kids. I'd put it in the bank! I would put the money in my kids college savings if I won. This is what I do with most of the extra money I make. I would use it to buy some clothes. I’ve lost a little weight, plus I haven’t purchased anything new in quite some time. I would use it to pay off bills. I really need to buy a bed, this is kind of embarrassing, but it is honest, and it is what I would use the money for, all I have at the moment is a mattress on the floor, and it is horrible to try and sleep on, I have RA too, ugh. Times are tough so this could really help, good luck to everyone who enters, I'm sure we all have great needs. If I won the $200 I would love to buy makeup from e.l.f. or get some Valentine's Day presents! I'd put it toward an iPad. Definitely would use it for groceries. I would pay ff some bills! FB name is rust hawk. I would use it to join our local health club. I would spend the $200 on a house payment. I would use the money to buy groceries. I would spend the $200 on car repairs. I would use the $200 to put toward re-doing my kitchen cabinets. I’m unemployed, so I’d use this money for treats – like going out to eat, or books or goodies from Barnes & Noble cafe or beads! I would buy my daughter some new clothes.